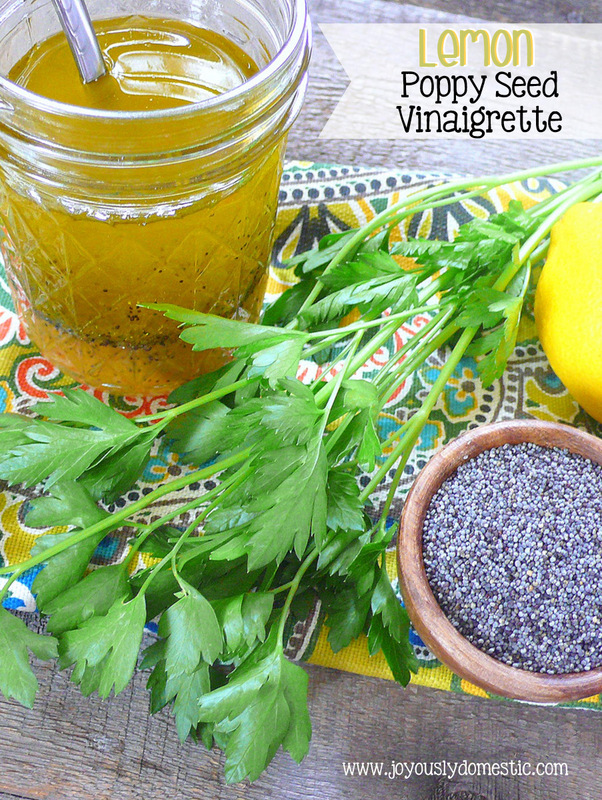 This is my go-to homemade lemon vinaigrette that I make when I want to dress a salad simply. It is, also, fabulous on grilled or oven-roasted veggies. And, it is absolutely luscious brushed over grilled chicken or fish. I've even been known to toss it with some leftover pasta and sun-dried tomatoes for a refreshing and easy cold pasta salad for my lunch. It's full of bright flavors that really amp up whatever you use it in or upon. I have an amazing Refreshing Citrus Quinoa Salad coming up on the blog soon that utilizes this dressing, as well. So, stay tuned. Another option for a light, summery lunch is to combine diced, cooked chicken with this dressing to make a lightened up version of chicken salad. Add in some dried fruit and nuts ... maybe a few halved grapes. Serve in lettuce wraps or over a bed of greens. Yum! Add ingredients into a Mason jar and shake to combine. Store in fridge for up to five days. Shake again prior to using. NOTE: If your vinaigrette solidifies while being stored in the fridge, simply set it out on the counter at room temperature for a few minutes. Also, you can run the jar under a little hot water to loosen things up.